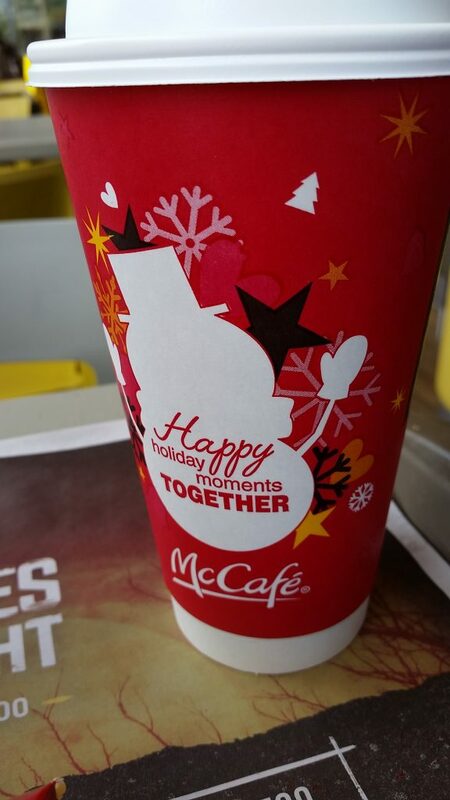 The 2016 Holiday McCafe cup design at McDonalds. We like last year’s purple design. This one looks a bit like the Starbucks design with the typical white and red colors. 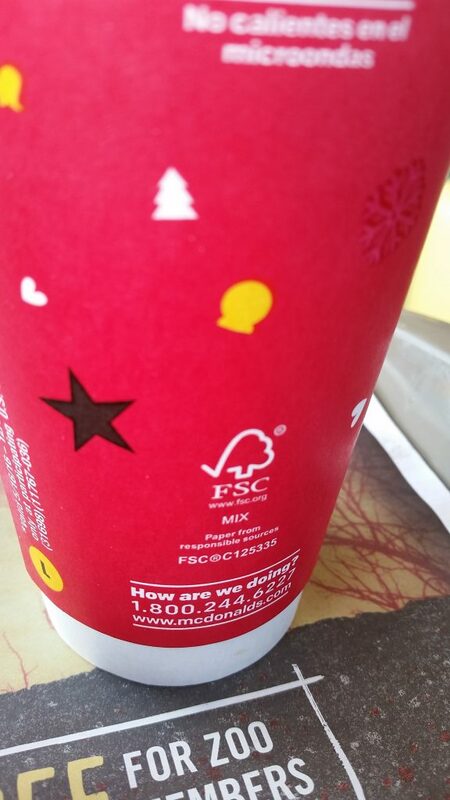 Are you looking for the holiday drink list from McDonalds? We have the McCafe drink list from 2015 pictured here.